Jennifer will be performing at the Northville Heritage Festival in Northville, Michigan playing music from the Victorian Era. Jennifer will be performing Charles Fernandez's Holiday Horn Concerto with the Los Angeles Symphonic Winds during the upcoming season. Jennifer appears often as a guest soloist with many groups and ensembles in the Los Angeles area. Check back for what will come throughout the season. 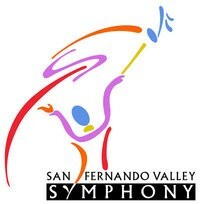 Jennifer is the regular principal horn player for the San Fernando Valley Symphony Orchestra.